Coverall, zipper, elastic wrists and ankles. Bound seams with storm flap over zipper. ChemMax® is constructed with a unique polyethylene barrier film and a continuous filament polypropylene nonwoven. 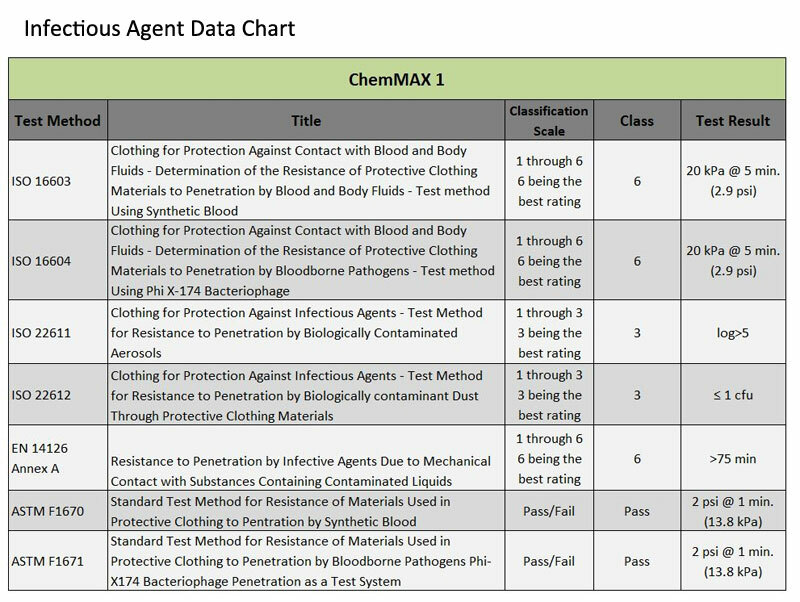 ChemMax® 1 garments bar many harmful contaminants from penetrating to inner clothing. ChemMax® fits the Lakeland standard at a price you can afford.